Strays and Lovers starts by introducing us to 46-year-old Eddie, who runs an animal rescue centre from his home in rural Southern California. The story starts off slowly as we learn about Eddie and his animals and the lonely life he lives. At that point, it isn’t particularly interesting. But the story got interesting when Eddie meets 20-something year old Gray at the local hardware store. Gray is a bit of a mystery and not the nicest or most social guy you’d ever meet. Not at first, at least. I really enjoyed getting to the bottom of Gray’s at time rude behaviour and seeing Eddie and Gray’s story unfold from two men attracted to each other to two men falling in love. I think my favourite thing about Strays and Lovers is the laid back feel to the story. It is a lovely, easy to read romance. A solid three stars from me. 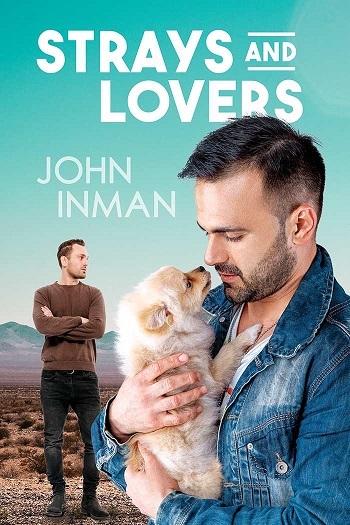 Reviewers on the Wicked Reads Review Team were provided a free copy of Strays and Lovers by John Inman to read and review.